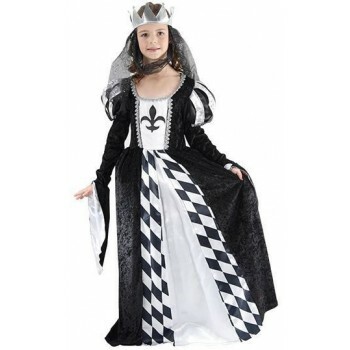 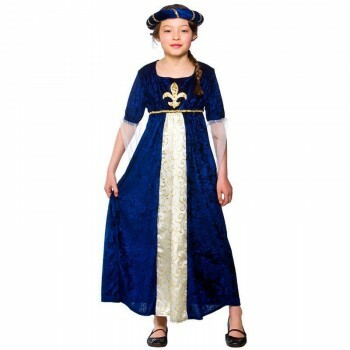 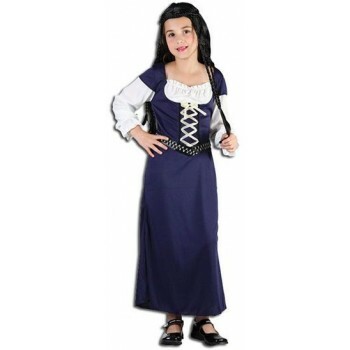 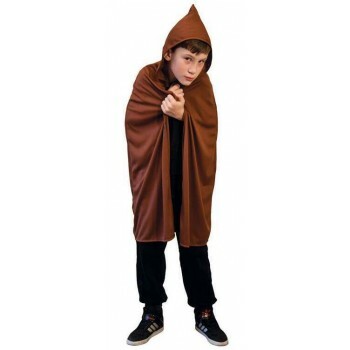 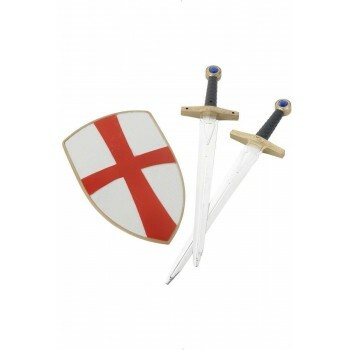 Adorn your little girl with the elegant attire of a medieval damsel in distress or the luxurious robe of a noble Tudor Queen with our Girls medieval Fancy Dress Ideas. 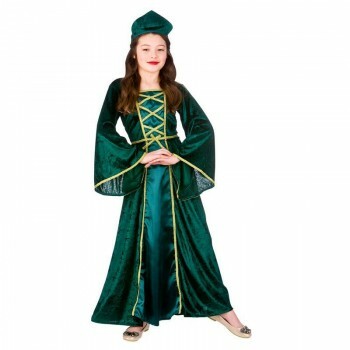 Our lovely Maid Marion outfit is thoughtfully designed with Emerald green lush fabric edged with gold trim and lace-up bodice. 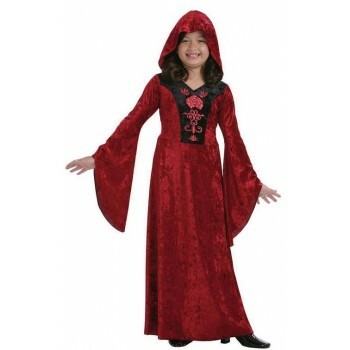 Bell sleeves create a magnificent silhouette as your princess dances the night away in a castle. 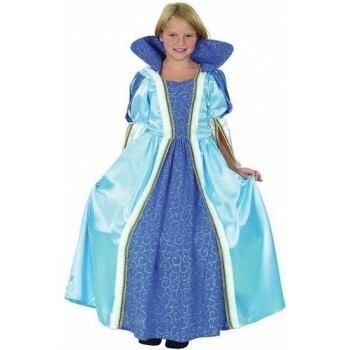 Try the sweet outfit we call the Regal Princess fancy dress costume. 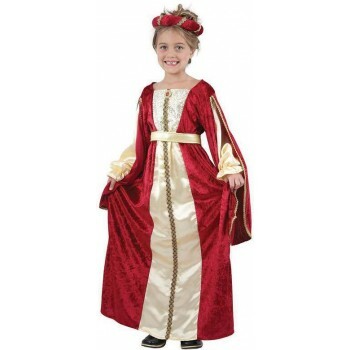 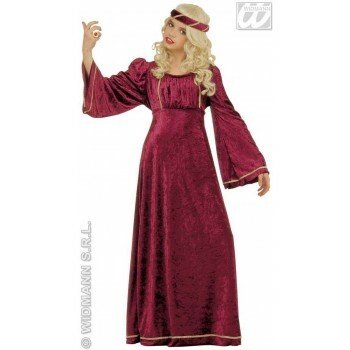 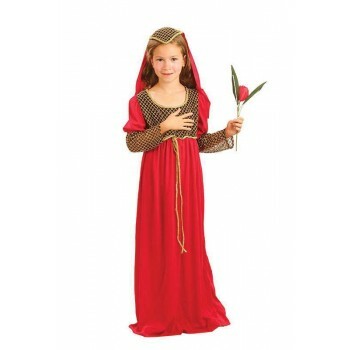 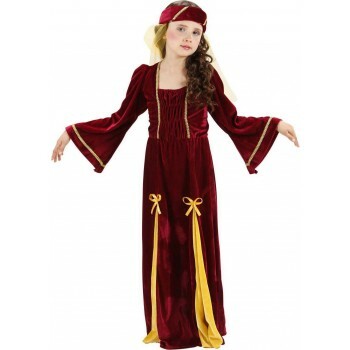 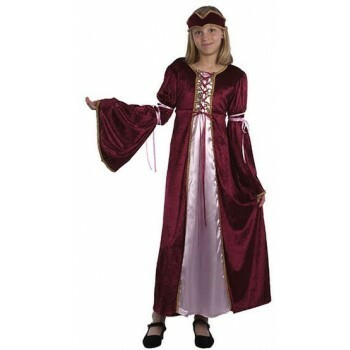 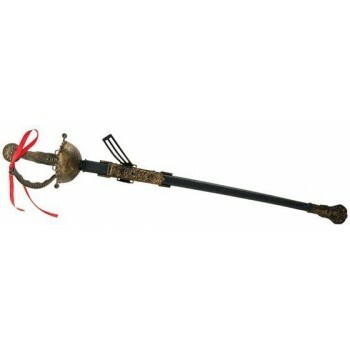 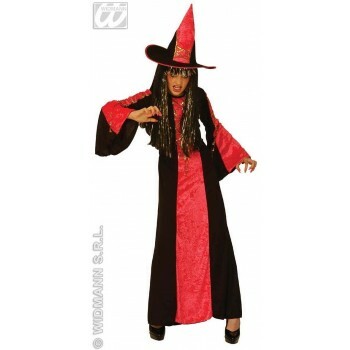 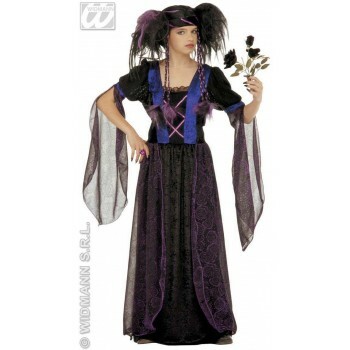 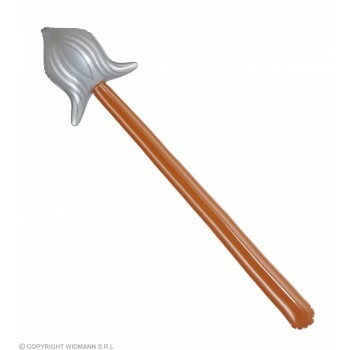 Also one of our girls medieval fancy dress ideas, this number is done in a royal vibrant red with silky undertones. 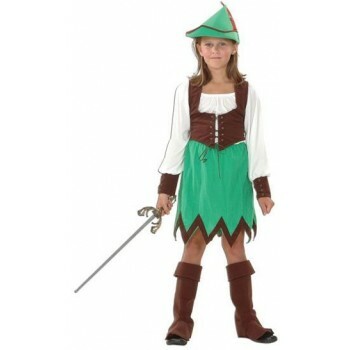 Striped down the middle in pale gold shimmer highlighted also on cuffs and elegant split sleeves. 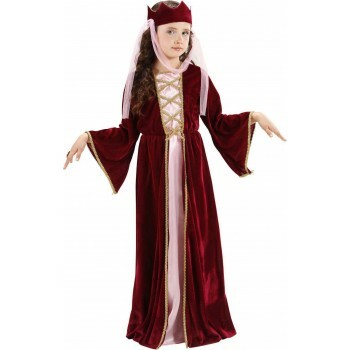 A matching fabric cloth tiara is positively angelic and showcases the abilities of accessories to complete the look.